Global provider of digital lifestyle devices, BenQ, continues to forge ahead in the LED display revolution with the introduction today of two new models, the G Series 19” W G920WL (16:10) and the 18.5” W G922HDL (16:9), which is the world’s first LED display in the 18.5” W segment. Compelling price points, solid performance, economical screen sizes, and boasting the lowest power consumption rating in their respective size categories, the new models appeal to cost- and eco-conscious corporate users who appreciate the G Series’ mercury-free, energy-efficient engineering. 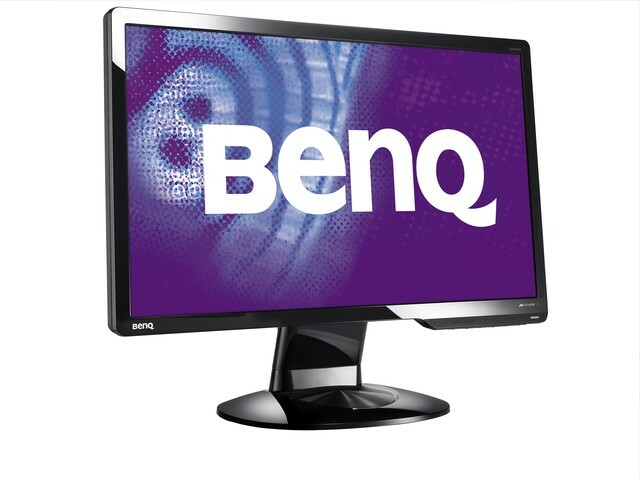 The G Series follows the recent release of BenQ’s V Series Eco LED displays and contributes to what will be a comprehensive LED lineup spanning 18.5” W to 24” W sizes to be launched now through 1Q 2010. By employing LED backlighting, the G Series offers brilliant visuals that enhance productivity and eye comfort in the workplace. Most notably, the G920WL and G922HDL exhibit zero light leakage, enabling an ultra-high dynamic contrast ratio (DCR) of 5 million:1. Such a near-infinite DCR translates to super-intense blacks, brilliant whites, and innumerable color variations in between so that all content – from fine text, graphs, chart, and tables to fast-action games and dark video scenery – are rendered in razor-sharp definition. Visual excellence is further enhanced by BenQ’s patented Senseye™ 3 Human Vision Technology, which offers one-touch optimization of image richness, clarity, and depth using preset modes calibrated to specific applications: Standard (office and Internet), Movie (DVD and TV), Game, Photo, sRGB (for 100% color consistency across all sRGB devices), and Eco (for power-savings). Perfect for today’s progressive corporations seeking energy-efficiency and optimal TCO (total cost of ownership), the G Series gives dual meaning to “Eco-friendly” by being both an ecologically responsible and an economically practical product. The panels are 100% mercury-free, which is a significant ecological advantage over traditional CCFL displays, and a noteworthy consideration for corporate users seeking to proactively comply with changing environmental regulations. 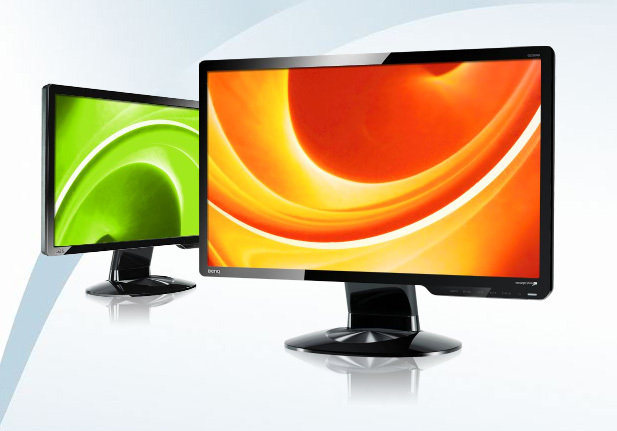 LED technology also enables the G Series to use substantially less energy (approximately 60% less in G920WL and 43% in G922HDL) than CCFL displays of the same screen size. In fact, at 10W (G920WL) and 11W (G922HDL) in Eco mode, the G Series leads the industry with the lowest power demands in their respective size categories – a big ecological and economical plus for businesses seeking to lower costs. Additionally, the G Series increases office productivity by enabling simultaneous viewing of multiple applications on the large widescreen formats: a 16:10 aspect ratio on the G920WL (1440×900 WXGA+ resolution) makes side-by-side viewing of office documents easy and comfortable; a 16:9 aspect ratio on the G922HDL (1366×768 WXGA resolution) is perfect for undistorted viewing of HDTV and HD movies. And because LED is a stable light source, the G Series provides flicker-free performance ideal for long-term viewing (such as at the office) and improved visual comfort. Both models have D-Sub and DVI.